Sune Larsen from Larsens Landmåler Service was one of the first users of the TinySurveyor. He has continuously expanded his business with the robot as new use cases frequently come up. He started by using the robot for as-built surveys of newly paved asphalt. In these cases, the robot increased his work speed by a factor of three. He quickly realised that the robot was also useful for a number of premarking tasks, and he began using it to premark road markings and stake out road work. 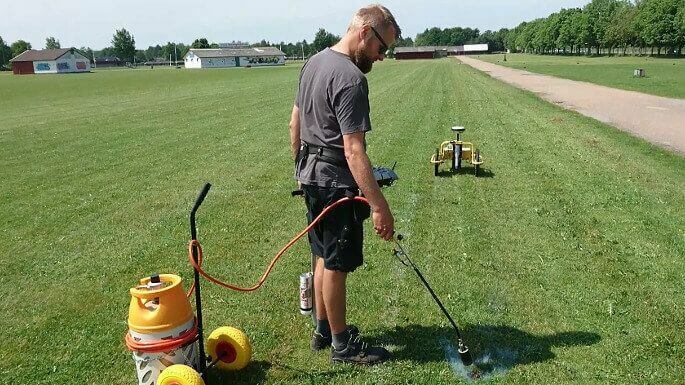 He has recently developed a working method that allows him to use the robot for premarking/layout on smaller roads. Sune Larsen has bought a second robot due to high workload. Sune Larsen says: “I often reduce the time used by a factor of two to three. The asphalt providers are very satisfied, as they can get on with paving the next layer of asphalt without much delay”. Geopartner is using TinySurveyor to mark photovoltaic/solar cell parks. With thousands of point needing to be staked out, the robot increases the work speed of the land surveyor by a factor of ten. 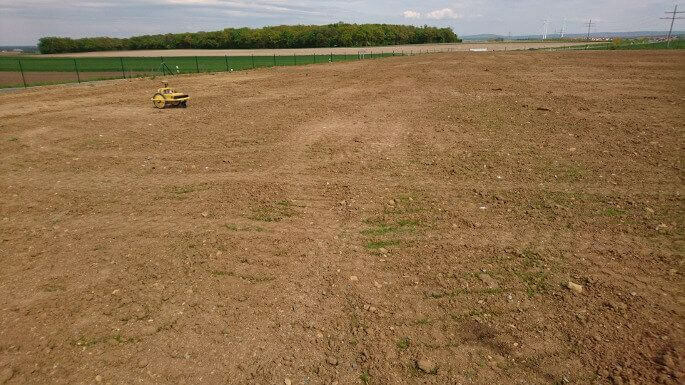 Geopartner has also used the robot for as-built surveys and found the precision to be very high. Bjarne Juul, CTO of Geopartner, says: “The precision of the robot, when used for as-built surveys, is comparable to that of humans”. Spotland have used the TinySurveyor mainly to premark road markings in relation to new motorway constructions. Spotland typically transfers the stripe markings from the AutoCAD drawings to a series of points within a five-metre distance. Then they let the robot do the marking. 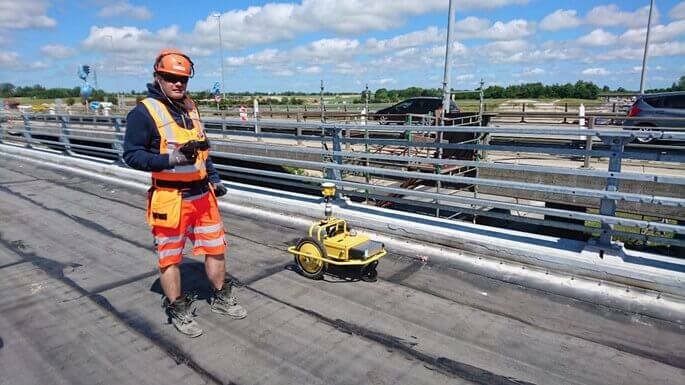 Spotland has also used the robot for as-built bridge surveys. Bridges are constructed with many layers, requiring a tight measurement grid. Due to the large number of measurements, the use of the robot increases the work speed by a factor of three to four. Jens-Peter Lund, CEO of Spotland, says: “The robot has increased our efficiency and has also moved my employees away from dangerous work locations”. Belectric is one of the world’s leading firms when it comes to setting up photovoltaic parks. Belectric has projects around the globe. 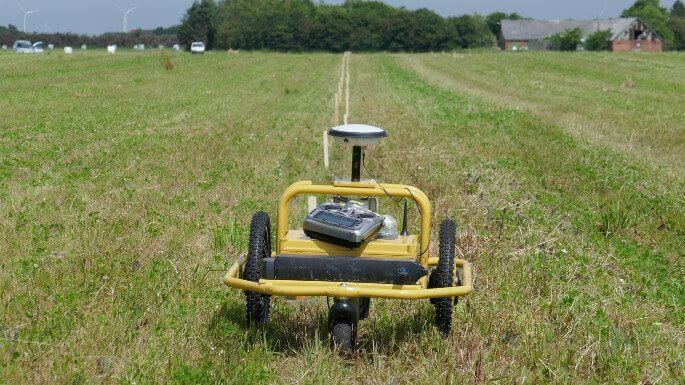 When Belectric discovered the TinySurveyor robot they saw a significant potential for saving time and money. As it turned out, the robot is five to ten times faster than a human at setting out the points for the solar cell foundations.